Apple's upcoming video service, which will likely be integrated into the iPhone, iPad and set-top box’s TV app, will include two new features: shows funded, bought or developed by Apple, and programming from outside media companies. 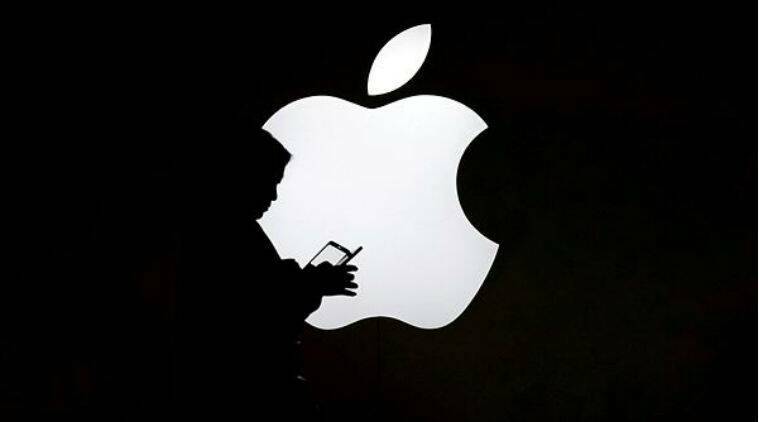 Apple Inc, after teasing investors for months about its ambitions to become a services company, is getting ready to showcase plans for new video and news products. All it needs now is for Hollywood to sign up. The company will host A-list celebrities and media executives on March 25 to outline how it will take on competitors like Amazon.com Inc. and Netflix Inc. Apple plans to unveil a long-awaited streaming service and magazine subscription bundle, and could use the event in Cupertino, California, to preview additional Apple Pay features, laying the groundwork for an iPhone credit-card partnership with Goldman Sachs Group Inc. But before the curtain goes up, Apple needs to complete deals. The company is racing to secure movies and TV shows to offer alongside its own original videos and is offering concessions to get deals done by a Friday deadline, according to people familiar with the matter. Pay-TV programmers such as HBO, Showtime and Starz have to decide whether Apple is an existential threat, as some now view Netflix, a potential partner or something in between. For years, Apple watchers have predicted that augmented reality or self-driving car technology would become the iPhone maker’s “next big thing.” But as consumers hold onto their handsets longer, the company is looking to services, with its promise of recurring revenue, as the next growth area. Apple forecasts such sales will top $50 billion a year by 2021. Last year, services brought in $39.7 billion, up 33 percent. Apple declined to comment on its plans for the event. The upcoming video service, which will likely be integrated into the iPhone, iPad and set-top box’s TV app, will include two new features: shows funded, bought or developed by Apple, and programming from outside media companies. The company is talking with AT&T Inc., the owner of HBO; CBS Corp. and its Showtime network; Starz, the premium cable channel owned by Lions Gate Entertainment Corp.; and others. At least a couple deals are expected by Friday, said one of the people, who asked not to be identified because the talks are still going on. The current Apple TV app already lets customers access services like HBO. But shoppers who buy those individually are kicked to the networks’ respective apps to view shows and movies. Keeping them inside Apple, a strategy that’s already worked in music, could help deliver 100 million subscribers within the next five years, Wedbush Securities predicted Tuesday. Apple itself predicts total App Store subscriptions will top 500 million by 2020, up from 360 million now. HBO, Showtime and Starz are among the most-popular premium cable TV networks and all expect to reach a deal with the company, according to the people. But they’re still haggling over various points, including marketing, promotion and the user experience. Netflix and Hulu, two major streaming companies, aren’t slated to be part of Apple’s new service because they don’t want to hand over control of their users’ experience or viewing data. Netflix has even stopped letting customers subscribe via the App Store, cutting Apple off from a lucrative share of revenue. While video will be the centerpiece of Apple’s announcement — as acknowledged by the “It’s show time” title on the invitation, the company also plans to unveil its magazine service. The new offering, which Apple employees have been testing for months, will allow consumers to subscribe to a bundle of magazines and newspapers. It’s a similar offering to the app Texture, which Apple acquired about a year ago. Magazines will become a key part of the Apple News app, which is being redesigned with a new icon as part of the iOS 12.2 software update that’s also expected to be announced at the event. Apple plans to sell its video and magazine services separately, but could offer them at a discount to users who subscribe to multiple services, one of the people said. Apple charges $10 a month for Apple Music. A user who buys several services is more likely to remain in Apple’s ecosystem and continue to buy the company’s hardware. The iOS 12.2 software update also sets the stage for an iPhone-connected credit card partnership with Goldman Sachs by tweaking the look of Apple Pay in the Wallet app. The credit-card project is code named “Project Cookie” inside the investment bank, according to a person familiar with the work. Apple is inviting journalists who cover the payments industry to attend the event. David Stark, who became a Goldman Sachs partner last year, is leading the project, this person said. The company has about 30 to 40 of its own people working on the deal, while the Apple side is being managed by the Apple Pay group, people familiar with the matter said. Goldman Sachs declined to comment. At an all-hands meeting with employees in January after announcing disappointing holiday sales, Apple Chief Executive Officer Tim Cook told employees how critical services are to the company’s future. This trio of new services will be the first major addition to the portfolio for consumers since the company launched Apple Pay in 2014 and Apple Music a year later.